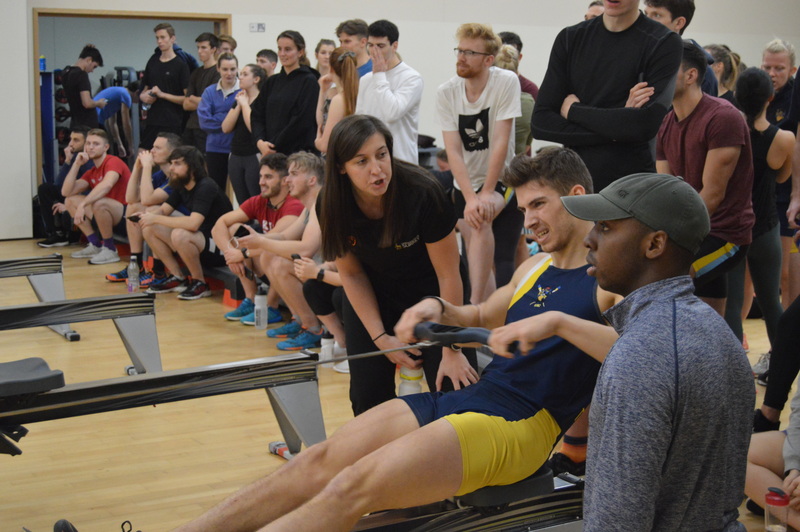 Sunday 25th November saw over 100 athletes come to Surrey Sports Park to compete in the first BUCS competition of the season – BUCS Indoors. 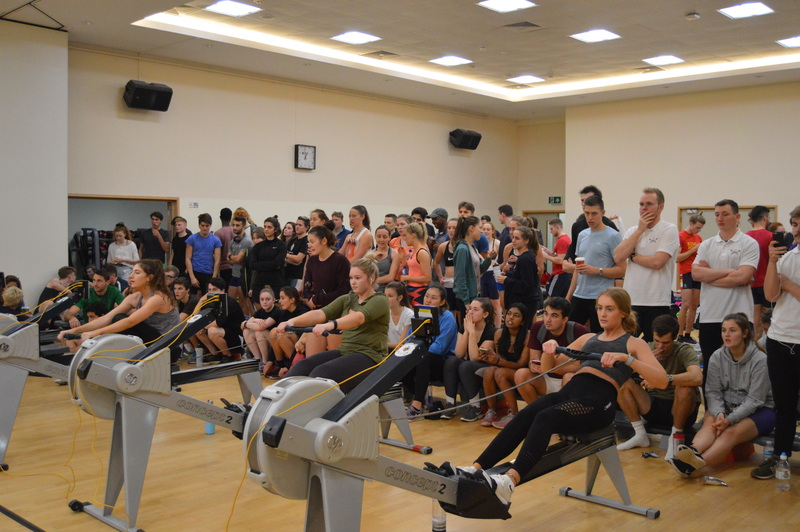 It was the fourth consecutive year that USBC hosted this event. 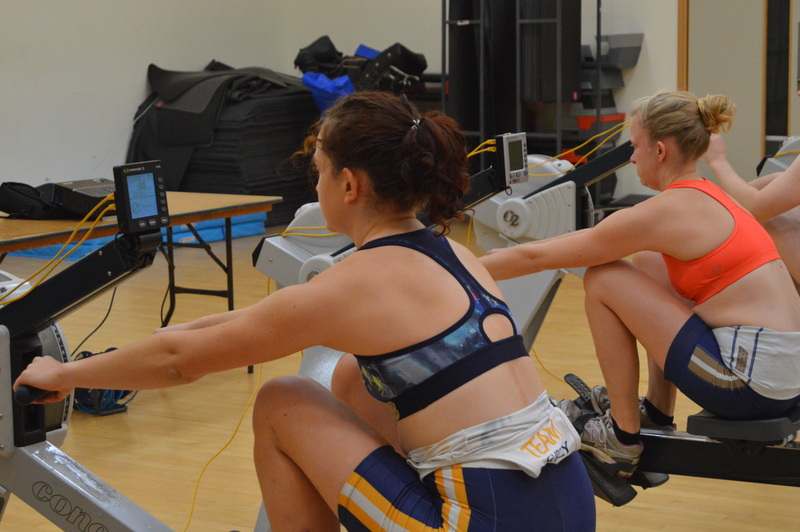 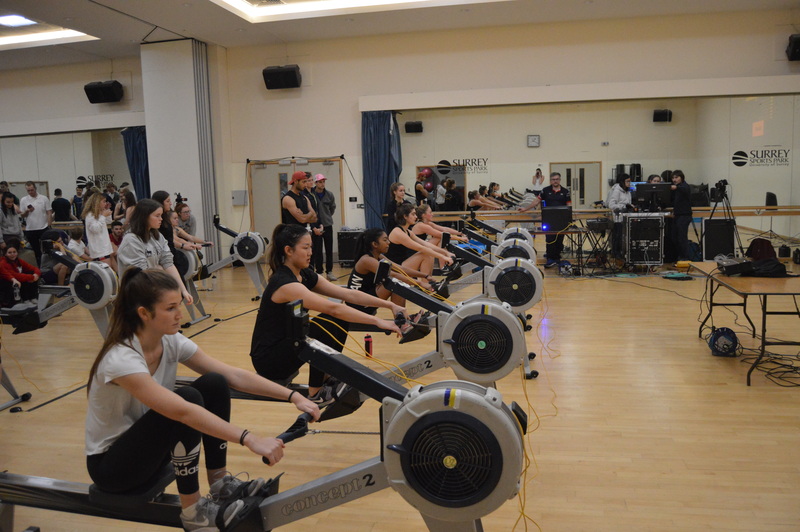 The day consisted of the senior athletes completing a 2km erg race and the beginner athletes completing a 1km erg race. 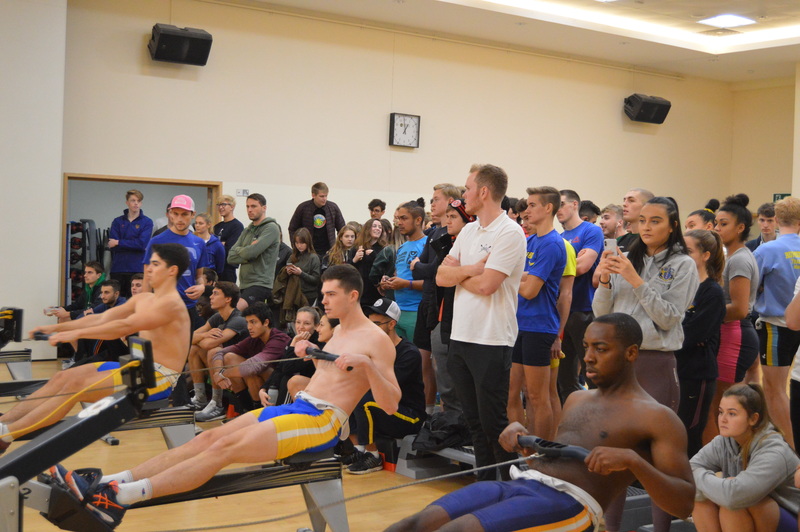 The first heat was the heavyweight senior men where there were 8 USBC athletes taking part – Mantas Volkauskas, Ben Radcliffe-Brown, Baz Kamran Khan, Wilson Sandengu, Chris Homes, Roberto de Isidro, Tom Goldswain and Adam Cygan. 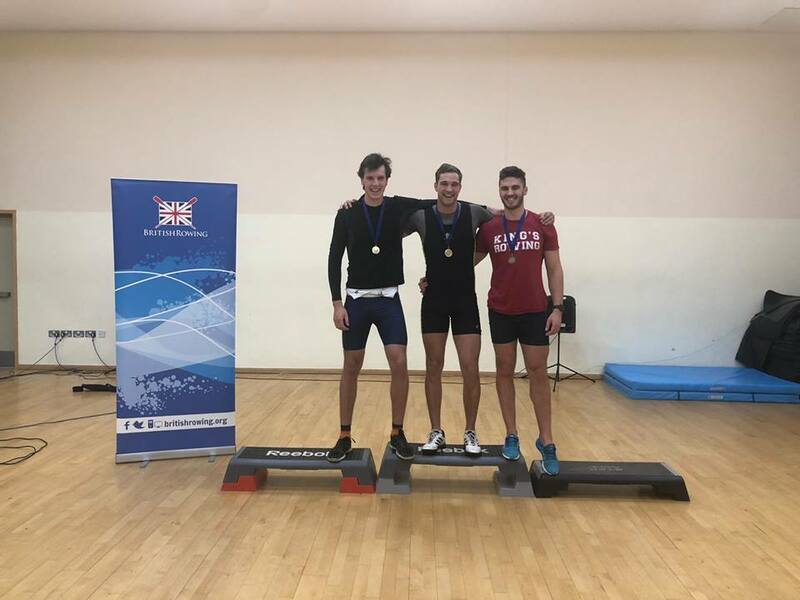 All the men put down solid performances with Baz finishing with a 10 second PB and Ben missing out on 1st place by less than 2 seconds. 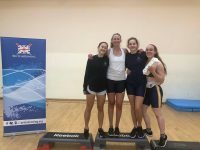 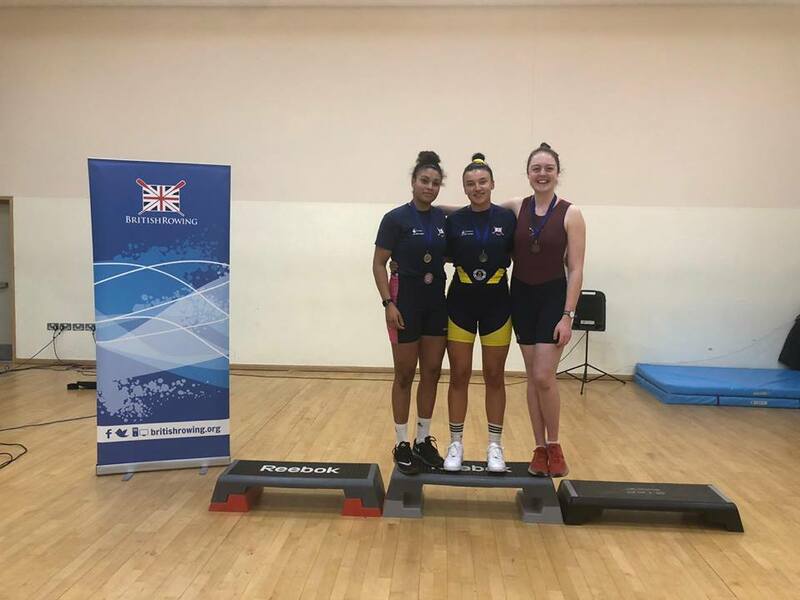 It was then the turn of the heavyweight women where there were 7 USBC athletes competing – Sophie Hossack, Cecile Flavin, Megs Moloney, Jas Bone, Lizzie MacCann, Fiona Norris and Maddy Brown. 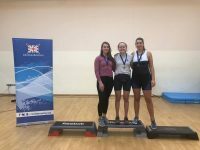 Just like in the men’s heat, all the women performed very well with a number of them coming away with PBs including Lizzie MacCann with a huge 6 second PB going 7:54 having never gone sub 8 minutes before the competition. 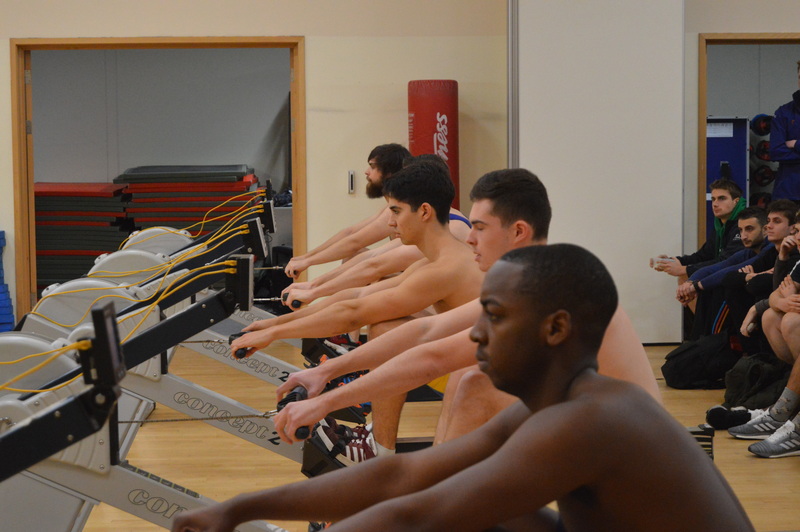 Once all the heavyweight athletes has competed, it was time for the lightweights. 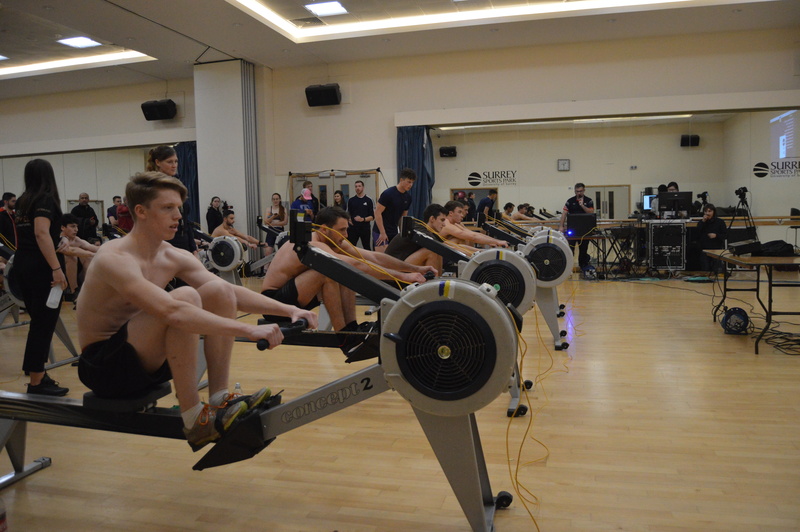 The men were up first which saw 4 USBC athletes compete – Sam Bodkin, Jamie Gamble, Conrad Forbes and George Glenister. 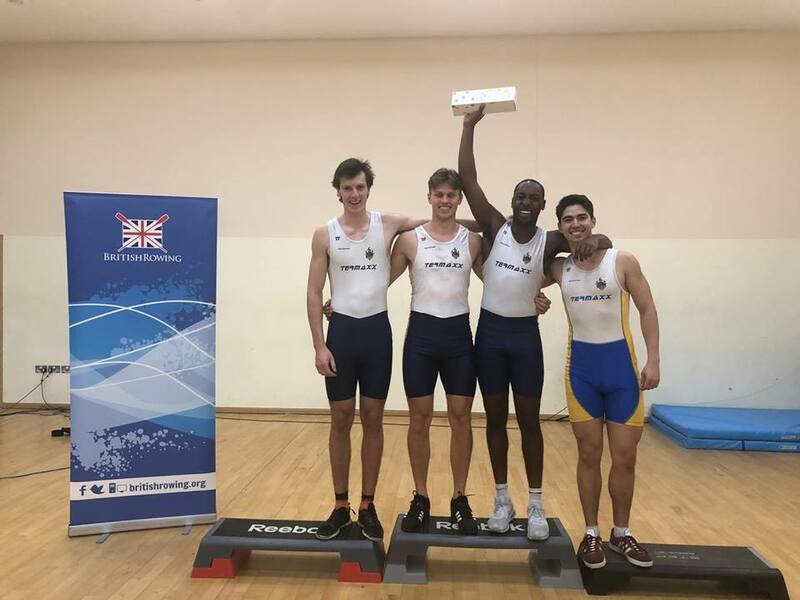 All four of these men had strong races – in particular Jamie who came from being in 3rd to take 2nd place in the final 50 metres. 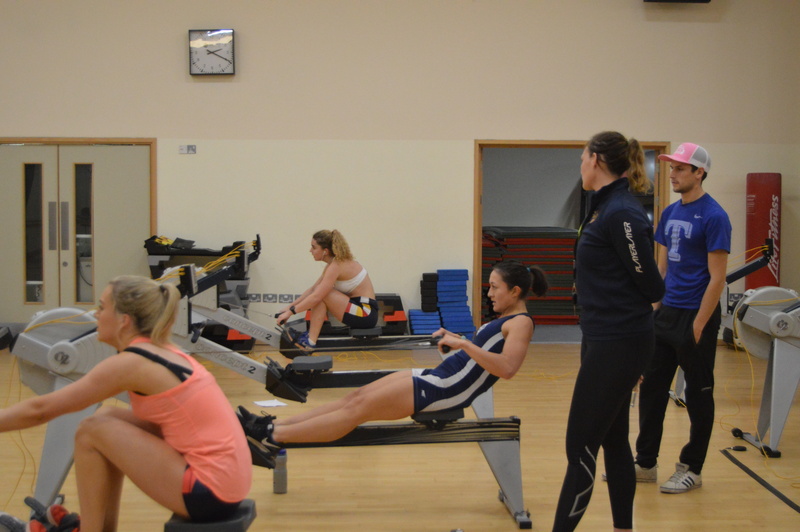 The lightweight women then took their positions on the ergs. 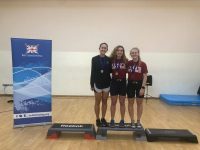 USBC had 2 athletes competing in this category – Elle Lynch and Maile Wedgwood. 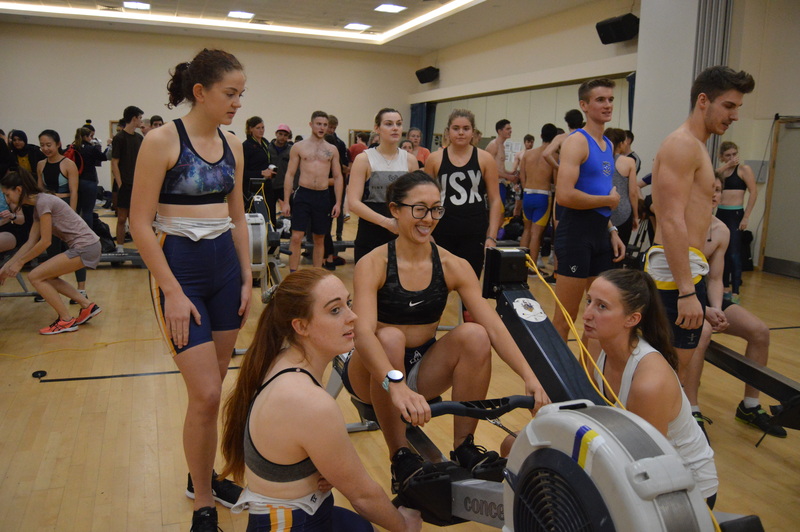 Both showed strong performances with Maile coming away with second place, despite having to sweat down 1.2kgs 2 hours before. 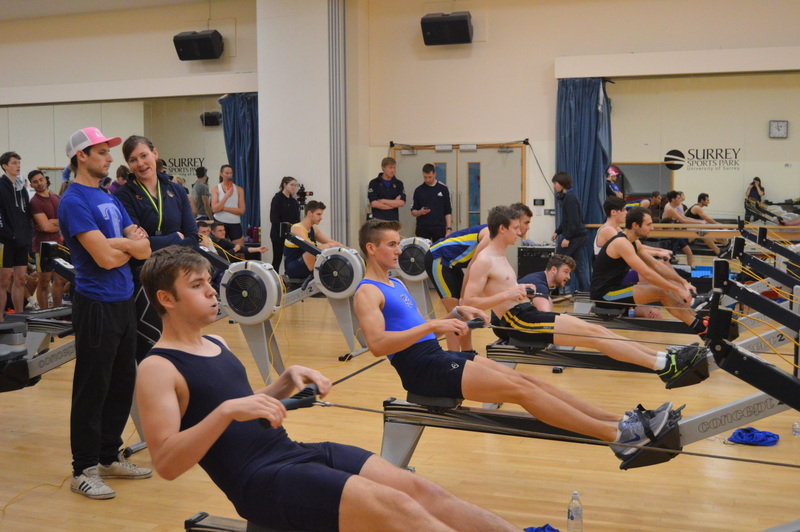 Having had all the seniors raced, it was now time for the beginner athletes to have their first taste of a BUCS competition. 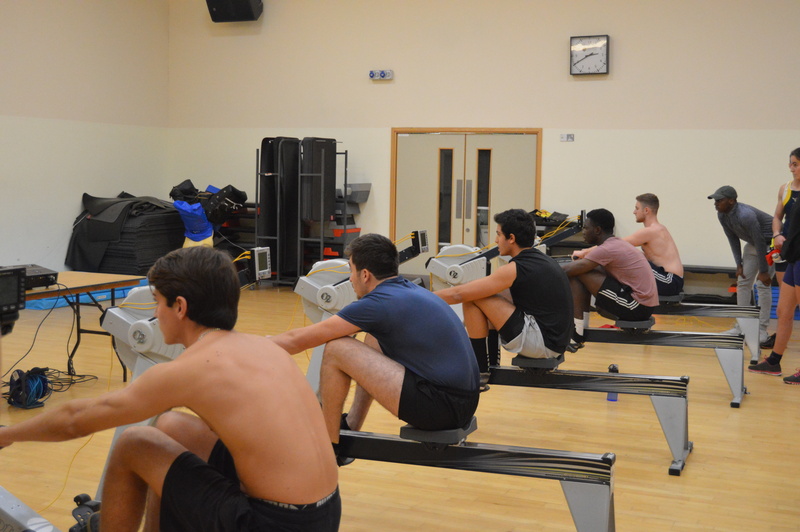 The beginner men were up first with a huge turnout of 20 USBC athletes taking part – Alex Long, Bruno Grandjean, Cameron Wheeler, Constantinos Kokkinolambos, David Williams, Jake Wilkins, James Humphreys, Jez Willis, Joao Pereira, Kareem Nabulsi, Omar Wazaney, Oyoma Kwakpovwe, Ryan Hill, Sam Griffin, Sam Stedman, Toby Berwick, Tom Powders, Tomasz Dunicz, Tommaso Rogoni and Abraham Charles Amri. 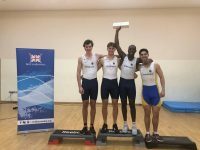 Every single one of the boys gave it their all with two of them making it onto the podium. 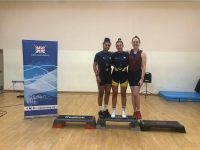 There was also a huge turnout of USBC beginner women with 18 athletes taking part – Alyssa Hughes, Alyssa Mather, Amelia Simpson, Amy-Sharlott Lawson, Beth Johns, Beth Stone, Ellie Macready, Jasmine Momeni, Lucia Vassallo,, Luise Ketel, Marnie Ridley, Molly Ryan, Molly Whitaker, Noor Al-Hashemi, Rumeshi Theva, Xiaohan Ma and Yasmin Ball. 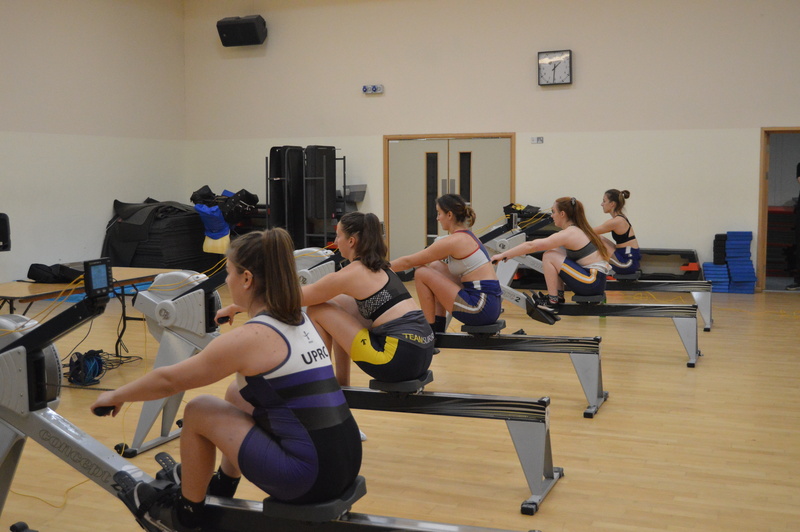 All of the girls showed a strong performance for their first rowing competition. 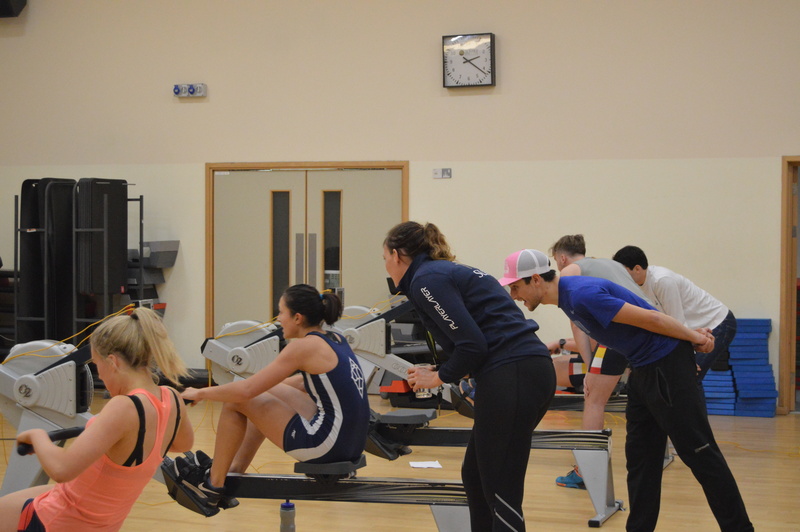 After a tough day of 2km and 1km races, it was then time for the relays as a fun way to round off the day. 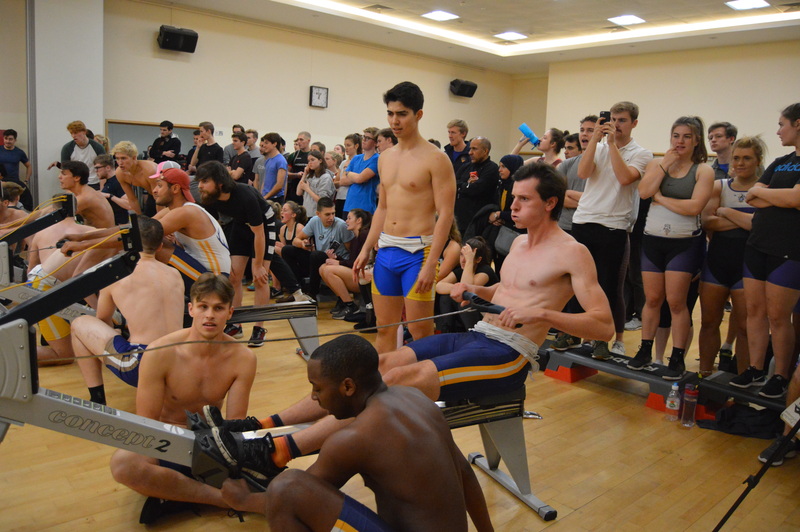 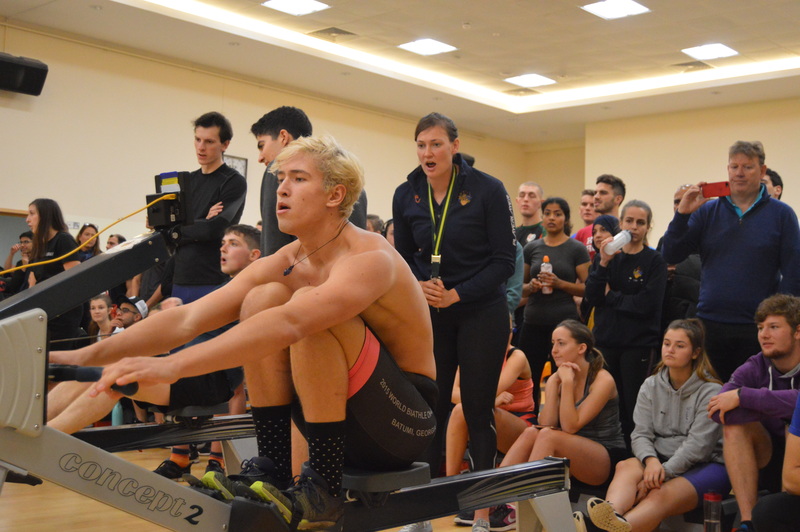 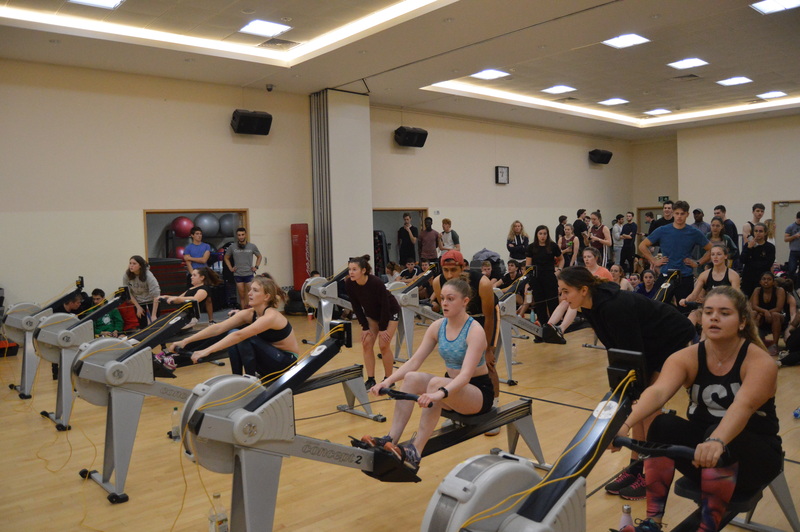 It consisted of teams of 4 racing for 2km on the erg. 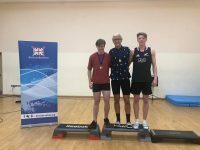 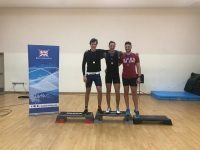 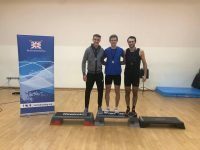 The first heat was the men’s relays where USBC took the win consisting of Mantas Volkauskas, Ben Radcliffe-Brown, Roberto de Isidro and Wilson Sandengu. 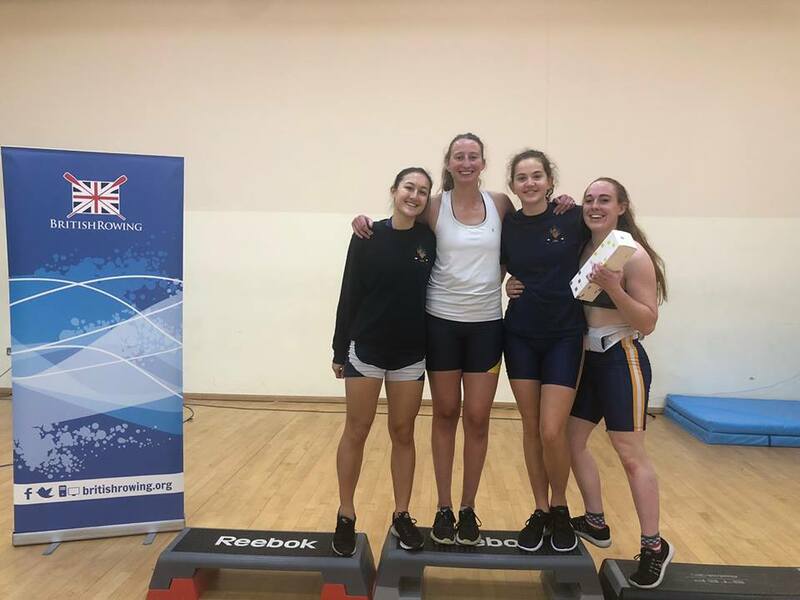 USBC continued the relay winnings into the women’s heat where Sophie Hossack, Megs Moloney, Maddy Brown and Maile Wedgwood took the win. 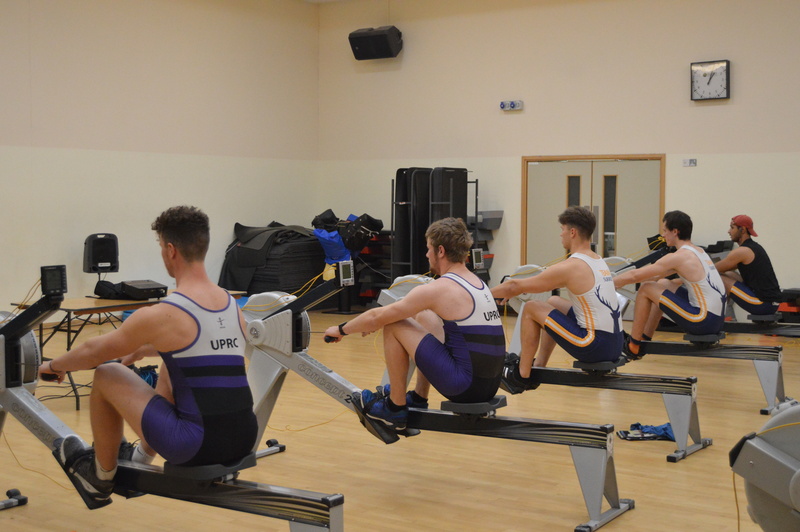 Overall, it was a hugely successful day for all of USBC and everyone else involved. 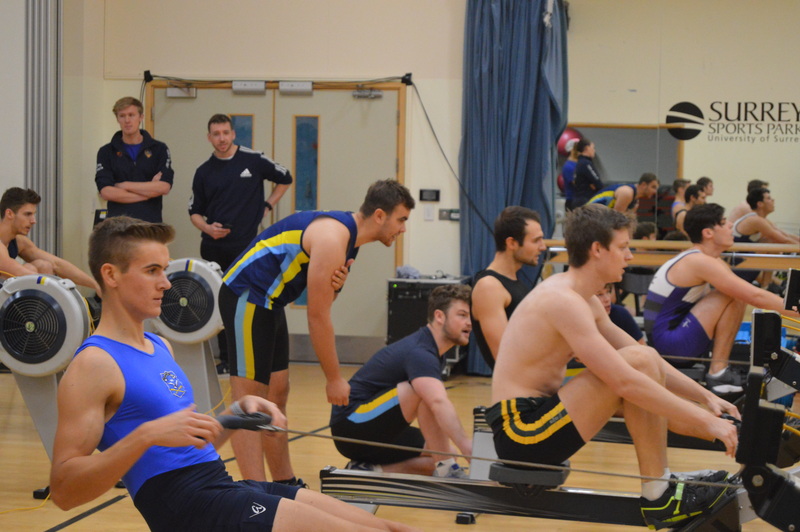 It proved to be a successful start to the season but with plenty of things that can be taken away and worked on. 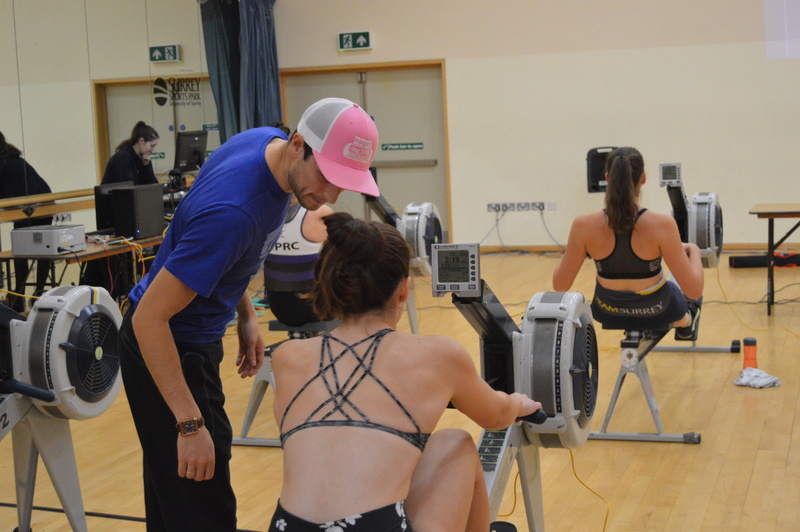 Big thanks to Dan Hetherington from British Rowing and Stag TV for their help in the organisation and the live-streaming of the event. 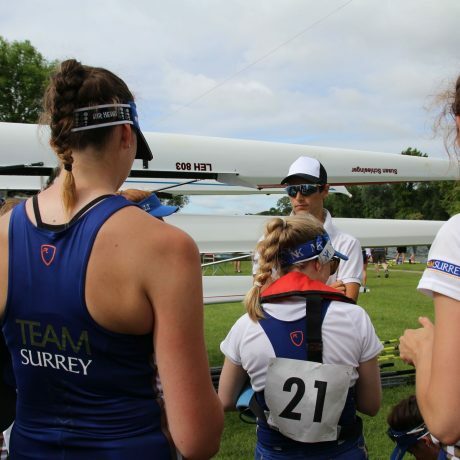 If you missed the event or want to watch your race back, the livestream can be found on our Facebook page, University of Surrey Boat Club.